One of Georgette Heyer's grittier romances, VENETIA is my favourite. I've lost count of how many times I've read it, but I still feel a whole gamut of emotions as I'm reading it. As always, Heyer's descriptions and settings are impeccable in their detail and her characterisations of even the smallest bit players are marvellous. 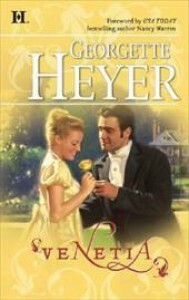 A lovely twist in the end to bring about the happy-ever-after for Dameral and Venetia reflects Heyer's plotting skills as well. I'll be re-reading this novel with much pleasure for many years to come!